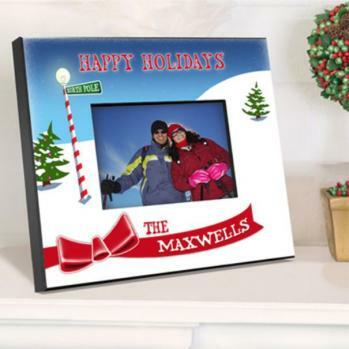 Our North Pole Christmas frame is the perfect way to display your family holiday photo. it is sure to become a favorite holiday decoration to bring out year after year. Frame measures 8" x 10" and holds a 4" x 6" photo. Personalize 1 line up to 25 characters.